Grips are original, undamaged. Gun is in very good used condition. When pulling trigger the hammer comes back approx. 3/8". Free shipping in the USA. Here's another hard to find variation from the George Schmidt Company. 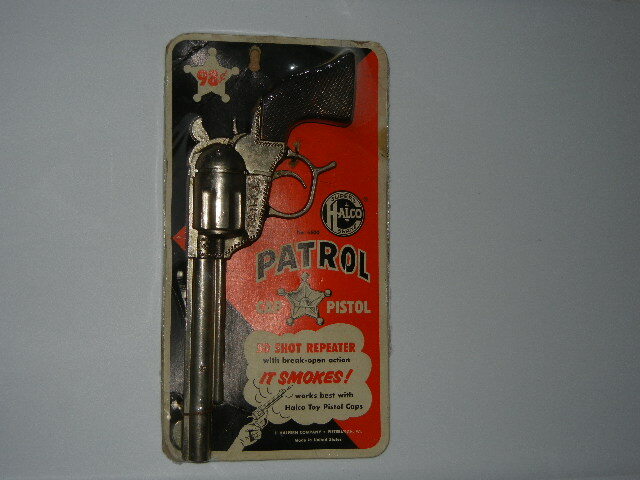 The Patrol gun is hard enough to find, add the original display card and you have a great item.